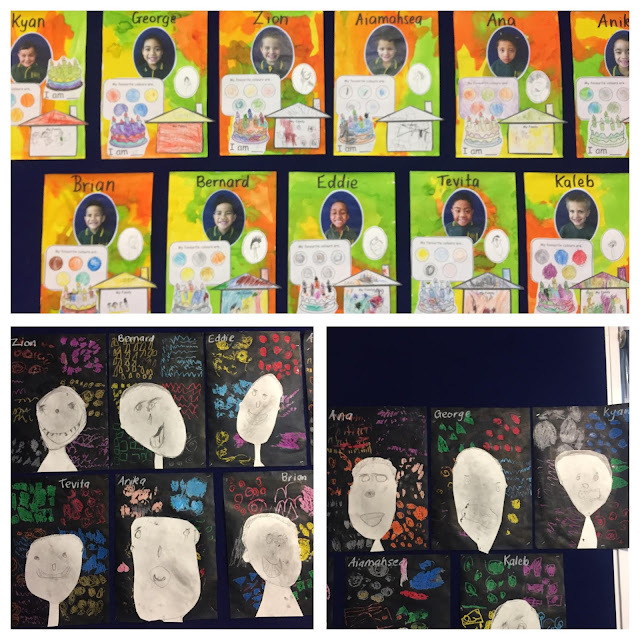 We made some beautiful art work about ourselves, we also learnt about sketching. We have been learning how to use a pencil to shade and make different types of lines. We have been learning about being able to read numbers and colour in the correct amount of objects. We have been learning about relating to others and being a kind team member. Miss Patrick let us use the blocks to show how we can be good listeners and support each other. This week our shared book is The Giant's Ice Cream. We painted our own yummy Ice Creams. They are up in Room 6 if you want to see them.